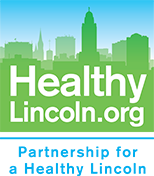 Partnership for a Healthy Lincoln strives to develop meaningful partnerships with organizations community-wide in an effort to improve the health of Lincoln citizens. We are very proud of the partnerships we have developed and welcome suggestions for future collaboration. If your organization would like to work together, please fill out this form with details about yourself.